New roof fitted, including fascias and drainpipes.. Excellent in all ways. Our 100 year old roof needed much urgent repair, and Falcus Roofing Contractors responded immediately. Their analysis of the situation was clear, and the quote they offered detailed and accurate. Work began straight away, and their approach was considerate, professional and very, very helpful. The job took 6 days, and apart from the scaffolding, we barely knew they were there. They are to be commended in every way, but most especially for their fine workmanship, consideration of others, and clear and helpful communications. Highly recommended. Lead flashing on chimney stack. Easy to contact, very quick to return calls. Very reasonably priced and completed to excellent standard. Roof renewal, main roof, flat roof and stairs roofing. Competitive quote, almost immediate start from acceptance. Additional work undertaken at estimated cost. Chimney cowl provided and fitted. Work was carried out in a very professional manner. My request for chimney cowl to be replaced following existing one being blown off due to high winds was responded too same day. Kevin purchased the correct item and informed me when work would be carried out. I was kept notified of when work would be done and they just got on with it. Service was efficient and reliable and carried out in a courteous manner. I would strongly recommend. I had been concerned that l would have difficulty getting a response to what might have been a "small roofing job". I recommend and will use again. Thanks. Shed roof fitted. 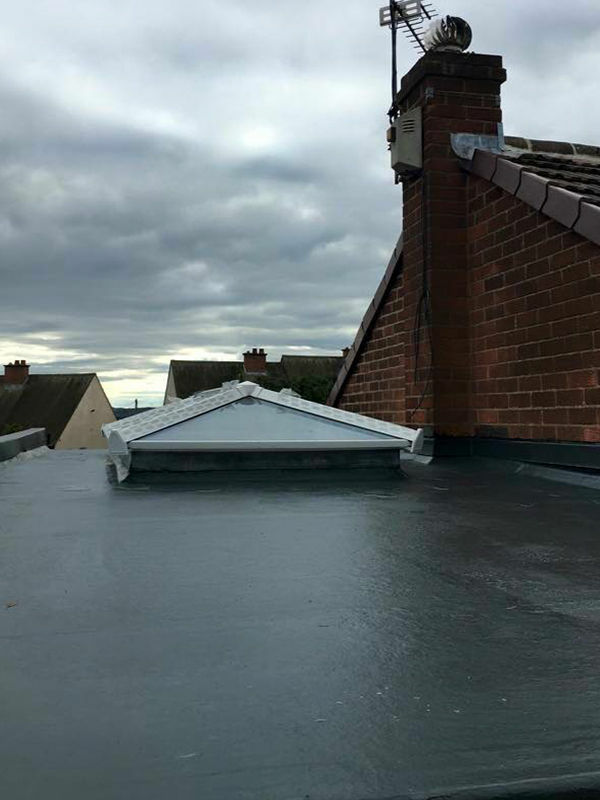 Second time we have employed Falcus Roofing Contractors and once again they were exceptional with great hard working lads, very friendly and tidy. The quality of work is flawless and the price good, especially in consideration with the great service. Can't recommend highly enough. Full re-roof complete in 2 days. Chimney stack removed. Marley roof tiles applied. New lead flashings. Dry ridge system. Quality, clean and efficient workmanship. Full new roof complete in 2 days. I would highly recommend to anyone who has work to be done on their roof. Fibre glass roof replaced with felt roof. Falcus Roofing had to replace our fibre glass roof that had blown off in the recent gales. They did a very good job, worked extremely hard and were very courteous. New roof. The boys were very friendly and hard working. They arrived early each day and worked until it was too dark to see, they only stopped once for lunch and even when we brought them coffee they only paused briefly for a quick drink. They were extremely polite and courteous and communicated about everything that was going on. They tidied up after themselves and left everything in an excellent and clean condition when they left. The quality of the work done is flawless and we cannot recommend them highly enough. New pitch, repair to chimney and new flat on extension. Great quality compete within timescales. Took photos of roof so I could make informed decisions on their recommendation. Very helpful. Complete new roof. Prompt response to initial request. Detailed quotation provided showing work to be carried out. The workforce were excellent, friendly, courteous and competent. At the end of each day our premises were left clean and very tidy. Workforce were happy to explain and demonstrate certain aspects of the job when questioned. A good experience to address a necessary job. Would recommend them very highly. Main re-roofing of house and extension. Kevin and his team have been fantastic. Great quality, efficient and within the exact time scale they quoted originally. Would definitely recommend them.